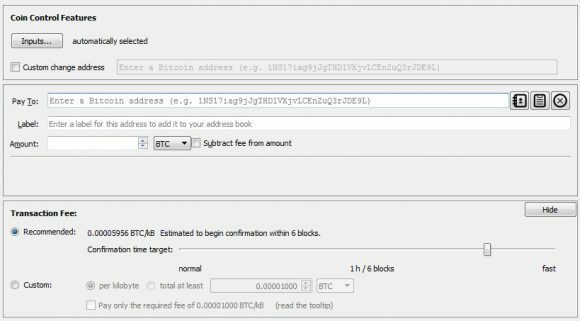 When you are transferring a crypto currency from one address to another you need to pay a fee for the transfer to happen. With crypto coins like Bitcoin the fee is paid depending on the amount of the data that need to be included in a block for the transaction to happen, it is a single fee per Kilobyte of data that you have control over. Increasing the fee can result in faster inclusion in a block and faster processing of your transaction to get included in the Blockchain and the coins to move to the new address. Decreasing the fee from the recommended amount will usually result in slower confirmation time, but if the fee is too little your transfer may actually never happen. 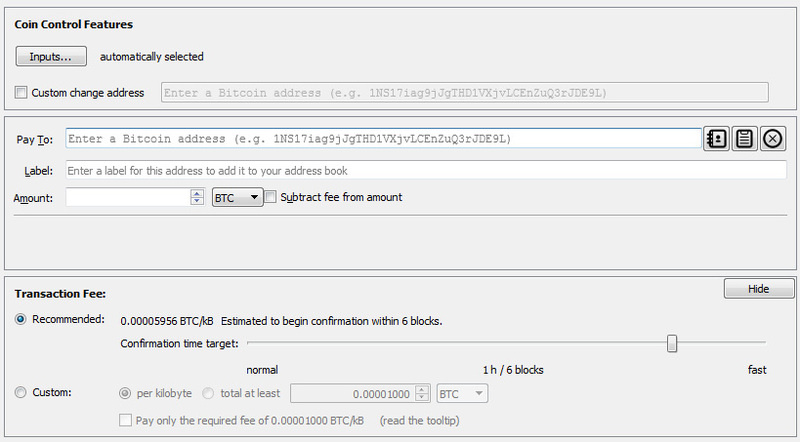 If the fee is too low and the transaction is taking too long to confirm you might try to Cancel Unconfirmed Bitcoin Transactions if you have used a local wallet like Bitcoin Core for example. With Ethereum (ETH) the whole thing works a bit differently, though the general principle of paying a fee for transactions is pretty much the same. When you send Ethereum, transfer tokens, interact with smart contracts and so on you need to pay a fee in Gas, though the actual fee is paid in ETH anyway. With Ethereum you always pay a fee, even if your interaction with the blockchain is not successful or if it is successful. Here is an example, if you send some Ethereum coins to a smart contract and doing so with not enough Gas, the coins will not be sent, but you still will have to pay the fee and it will be deducted from your balance. With Bitcoin for comparison an unsuccessful transaction will not result in you still paying the transaction fees. The total TX (transaction) fee you need to pay in Ethereum is calculated by multiplying the Gas Limit and the Gas Price you want to use for a transaction, you normally have control over the two values, but most of the cases you only change the Gas Limit. The Gas Limit is the maximum amount of Gas you are willing to pay for a transaction, you usually set it higher as you will only be paying the needed amount and not the maximum you have declared you are willing to spend. The second component, the Gas Price is normally preset at 21 Gwei to ensure a fast transaction, but at times this can be too much or too little. When there is a big ICO running or even a couple of smaller ones and there are a lot of transactions going on the Ethereum blockchain you might need to increase the Gas Price in order to avoid waiting up to a couple of hours for your transaction to finish. At the same time when the network is not so loaded you can significantly reduce the Gas Price to a level where you would still get very fast transaction, but at much lower total cost. Remember that the total fee for the transaction is being paid in ETH when you multiple the Gas Limit by the Gas Price, and you are being charged only the actually used Gas and not the whole limit you have set as a maximum you are willing to spend. So it is really important to be able to easily track what is currently going on the Ethereum network and what is the Safe minimum Gas Price you can use in order to get your transaction executed relatively fast if you are not in a hurry and save on transaction cost or what to set as minimum if you want to have the transaction happen as fast as possible. 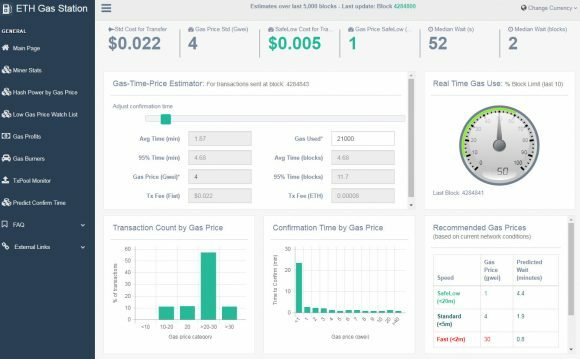 For example the popular MyEtherWallet service has the Gas Price set by default to 21 Gwei and most people don’t change it as it ensures relatively quick transaction execution most of the time. If you check the current situation with the help of a service like ETH Gas Station for example at the time you want to make a transaction on the Ethereum network you can get a better idea on how much Gas Price to use and still get satisfying results. What you need to remember is that the Gas Price is what decides how fast a transaction is going to be executed and not the Gas Limit, the limit is there to make sure you don’t overspend more than you are willing to pay. The final TX fee (Gas Limit * Gas Price) does not guarantee fast processing time with a very high Gas Limit, the important factor for faster processing is the Gas Price, provided that you have enough Gas Limit to execute the interaction on the Ethereum Blockchain. Note that there are times when you can easily go with just 1 Gwei Gas Price and still have a transaction executed in up to a few minutes, though at busy times you often have to use between 20-30 or even up to 50 Gwei Gas Price… higher than that it is usually unreasonable and it is recommended to wait a bit for the situation to calm down. So be careful and do not spend more for fees than you need to and if a quick check at a useful website can save you some ETH why don’t take advantage.